The Soundkeeper is your eyes and ears on Long Island Sound. Through regular patrols of your bays and harbors, the Soundkeeper focuses on finding, reporting, and fixing our most vexing water quality problems. In addition to being our on-the-water watchdog, the Soundkeeper speaks out on behalf of the many marine species that depend on a healthy Sound for survival. He provides a powerful voice for the lobsters, bluefish, whales and seals, and other full-time residents of the Sound. When not on the water, the Soundkeeper is busy supporting and mobilizing communities around the Sound to take action for clean water. The Soundkeeper works with Save the Sound’s program staff across Connecticut and New York to develop strong environmental policies and solutions to water pollution. To make sure our clean water laws and regulations are enforced on the Sound, the Soundkeeper works closely with Save the Sound’s environmental attorneys, holding polluters accountable under the law. 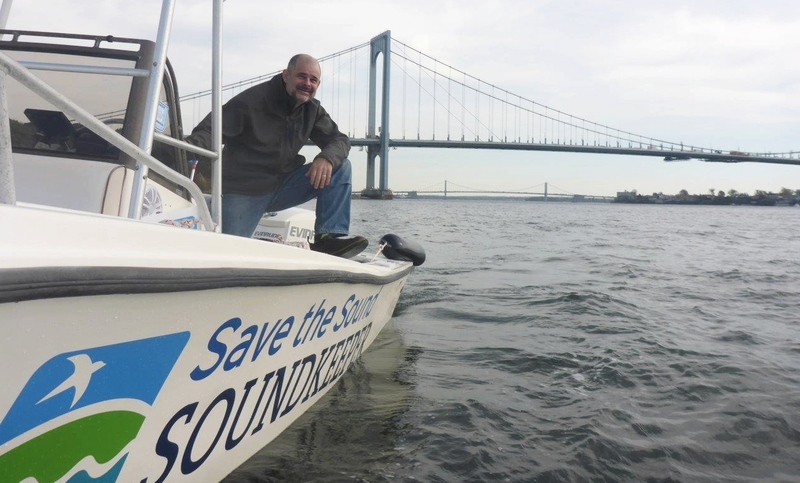 Whether on the water or in the statehouse, your Soundkeeper is fighting to protect and restore Long Island Sound. Meet Soundkeeper Bill Lucey. Bill is a fish and wildlife biologist with more than two decades of experience studying and conserving marine life. He is also an experienced commercial fisherman and environmental educator. As your on-the-water watchdog, Bill upholds Save the Sound’s mission to protect and restore Long Island Sound. Bill is backed by Save the Sound’s expert legal team and our water monitoring program to help identify polluters and hold them accountable. 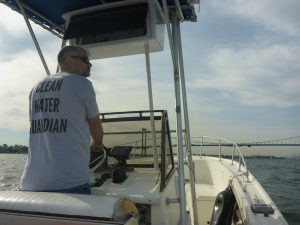 Long Island Soundkeeper is a member of the Waterkeeper Alliance, the largest and fastest growing international nonprofit focused solely on clean water. The Alliance has its origins in our own backyard. Waterkeeper Alliance grew out of a citizen-led movement in the late 1960s to protect water and save the Hudson River from rampant and unchecked water pollution. The movement later spread to Long Island Sound as local lobster and oyster fishermen Terry Backer and Chris Staplefelt were driven to action by a dying Sound. 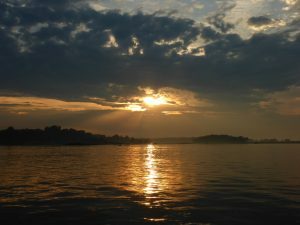 The Long Island Soundkeeper Fund, Inc. and Hudson Riverkeeper, Inc. were founding members of the Waterkeeper Alliance. Read more about the Soundkeeper’s history. Check out our current legal actions to ensure a clean and healthy Sound. Want to get updates on what your Soundkeeper is seeing, hearing, and smelling on Long Island Sound? Sign up for our email updates, or follow Save the Sound on Facebook. Help Bill keep an eye out: report water pollution. Interested in the water quality conditions we are finding in your local bay or harbor? Check out the Unified Water Study. Your support keeps the Soundkeeper on the water. Become a member today.